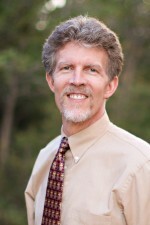 Baylor>Robbins College of Health and Human Sciences>Faculty & Staff>Faculty Directory>Stan Wilfong, M.S., R.D., L.D., F.A.N.D. Stan comes to Baylor with 20 years of experience as a Registered Dietitian, mostly in the long-term-care industry. As a Regional and Divisional Dietitian, he worked in both food service administration and the clinical nutrition realm. He was responsible for overseeing Nutrition Service departments, training food service managers and Registered Dietitians in nearly 200 facilities in 13 states throughout his career. I feel very privileged teach here at Baylor. I have a true passion for our students and the science of nutrition and am driven to present material in a manner that reflects that excitement. Furthermore, it is liberating to be teaching at a Christian university where we are not only allowed to, but encouraged to incorporate our faith as we teach. I am so fortunate to be in a position to touch our students’ lives as they are being prepared for entry into their various professions.